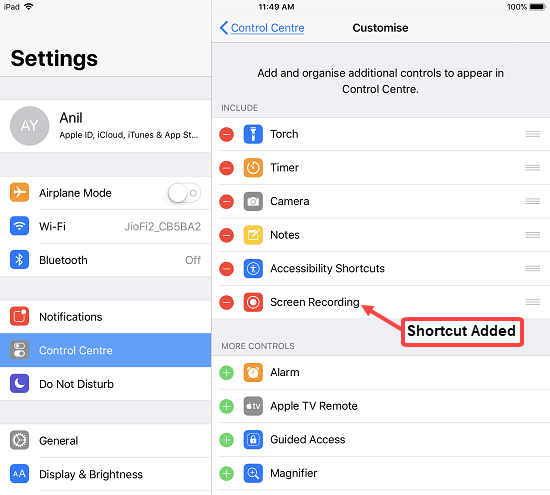 Before iOS 11, there is no built-in feature to record screen of your iPhone or iPad. You have to depend on third-party application and macbook to record screen. But now you can record the screen of your iPhone / iPad in iOS 11. Yes, built-in screen recording feature is now available in this latest update. No need to use third-party application which cause security issue. 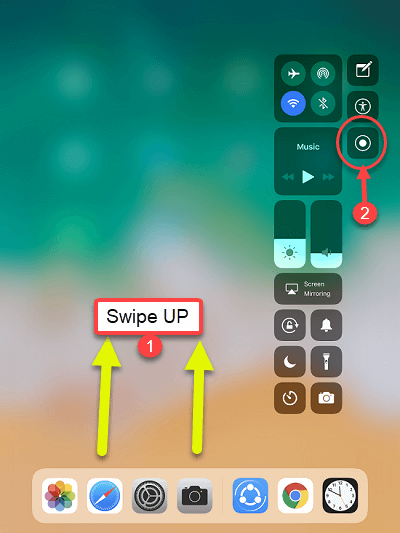 Here we are going to tell you step by step how can you record your iPad / iPhone screen in iOS 11? First of all, let me tell you to use this new screen recording feature you must update your iPhone / iPad to the latest iOS 11. 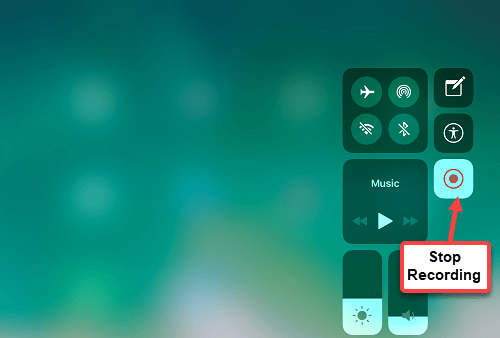 So let’s see how to record your iPhone / iPad screen in iOS 11. 1 First of all tap on Settings icon in home screen. 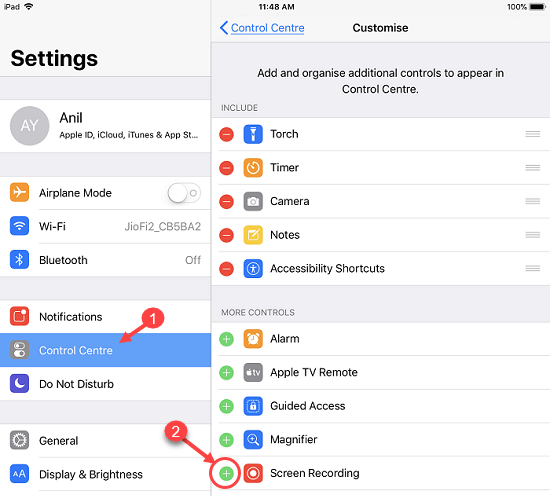 2 In Settings, you have to tap on Control Center and then tap on Customize control. In customize, you see Screen Recording in More Control, here you have to tap on Green + button to add shortcut. 3 You can see Screen recording added to include list. That’s it, we have created a shortcut. 4 Come back to Home screen and swipe up from the bottom of the screen, by doing so, you can see Control center on the home screen. Here you have to tap on the Screen Record icon, now screen recording will start. 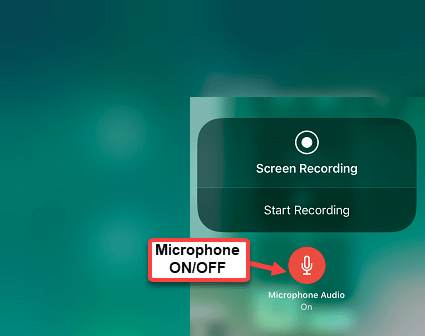 If you want to record with your sound, Tap & Hold on the Recording icon, by doing this, you will also see a microphone on / off option. 5 To stop screen recording, you can tap on the status bar on top and then tap on Stop. You can also stop recording by tapping on record icon. Your recordings will be saved directly in your gallery. To to basic editing, just open gallery and select recorded video and tap on edit. You can here trim your video and remove unwanted parts. 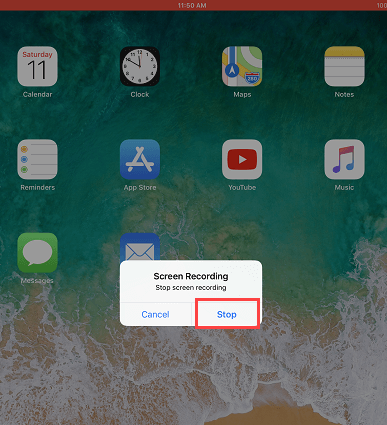 So this is how you can record screen of your iPhone and iPad in iOS 11. Remember this feature available only in iOS 11 update.